Professor Ann Dale is a professor in the School of Environment and Sustainability at Royal Roads University. She held the university’s first Canada Research Chair in Sustainable Community Development from 2004 to 2014, and has extensive knowledge of sustainable community development in Canada. Her community research is both place-based and virtual, and she is a recognized leader in on-line real-time dialogue and innovative research dissemination techniques. She chairs the Canadian Consortium for Sustainable Development Research (CCSDR), is a Fellow of the World Academy of Art and Science, a Board member of the World Fisheries Trust, and on the Advisory Committee for Energy Efficiency, Natural Resources Canada. She is a recipient of several awards, the 2014 Paz Buttedahl Distinguished Academic Career Award, the 2013 Canada Council of the Arts Molson Prize for the Social Sciences, the 2009 Bissett Alumni Award for Distinctive Contributions to the Public Sector and the 2001 Policy Initiative Award for Outstanding Research Contribution to Public Policy, and is a Trudeau Fellow Alumna (2004). Dr. Leslie King (PhD from the London School of Economics and Political Science) is Professor and Director of the Canadian Centre for Environmental Education and the Chair of the Undergraduate Committee in the School of Environment and Sustainability at Royal Roads University. In addition, she is Adjunct Professor at the University of Victoria, Dartmouth College and the University of Manitoba, Honorary Research Fellow, Vancouver Island University, and serves on the Advisory Board, Faculty of Environment, for Simon Fraser University. Her current research projects include the International Community-University Partnership project Protected Areas and Poverty Reduction: A Canada-Africa Research and Learning Alliance funded by SSHRC and IDRC with partners in Tanzania, Ghana Canada (Vancouver island -- Tla-o-qui-aht Tribal Parks), Arctic Social Indicators, and MC3. Dr. John Robinson is the Associate Provost, Sustainability, UBC, responsible for leading the integration of academic and operational sustainability on the University of British Columbia’s Vancouver campus. He is also a professor with UBC’s Institute for Resources, Environment & Sustainability, and the Department of Geography. Dr. Robinson’s own research focuses on the intersection of climate change mitigation, adaptation and sustainability; the use of visualization, modelling, and citizen engagement to explore sustainable futures; sustainable buildings and urban design; creating partnerships for sustainability with the private, public, non-governmental and research sectors; and, generally, the intersection of sustainability, social and technological change, behaviour change, and community engagement processes. The Centre for Interactive Research on Sustainability (CIRS), opened on the UBC campus, is a major project. In 2012, Dr. Robinson was awarded the Canadian Geographic Environmentalist of the Year. Emily Huddart Kennedy is an Assistant Professor of environmental sociology at the Washington State University. She holds a bachelor’s degree in Natural Resource Conservation from the University of British Columbia, a master’s degree in Environmental Sociology from thr University of New Brunswick, and a Ph.D. in Environmental Sociology from the University of Alberta. Her interests are in how civil society engages with the natural world and environmental issues. This line of inquiry includes individual, household behaviours; lifestyle choices such as downshifting; and public sphere actions including relational activism. She has used a mixture of qualitative and quantitative methods and participant samples at municipal, provincial, and national scales, publishing findings in Human Ecology, Rural Sociology, Environmental Politics, the Canadian Journal of Sociology, and others. Dr. Sarah Burch is Assistant Professor in the Department of Geography and Environmental Management at the University of Waterloo. She focuses on the governance of responses to climate change (both adaptation and mitigation) in urban spaces. Her various research endeavours explore triggers of transitions toward more sustainable development pathways, and strategies for engaging a variety of actors in conversations about desirable futures. Sarah is the North American coordinator of the Earth System Governance Project Research Fellows and a Coordinating Lead Author of the 2nd Assessment Report on Cities and Climate Change. Dr. Alison Shaw (PhD in Resource Management and Environmental Studies, University of British Columbia) is Alison is Founder and Principal at FlipSide Sustainability. Combining almost two decades of climate change and sustainability experience with professional coaching techniques, Alison focuses on bridging the boundaries between science, policy and practice. She has worked as a research scientist on cross-cutting climate change and sustainability projects, using innovative engagement and knowledge mobilization approaches to link knowledge with action. As a consultant and coach, she is passionate about facilitating cross-cutting, sustainability learning and leadership, co-generating meaningful sustainability knowledge and embedding practical sustainability innovations into public and private sector organizations and networks at diverse scales. Alastair Moore's research interests involve the role that normative discourses, imageries and materialities play in maintaining or destabilizing existing practices - good and bad. His PhD examines the agency and daily practices of intermediaries within the housing energy retrofit system, and how the former influence/direct the latter. Underpinning his academic pursuits lies a range of more applied sustainability experiences which co-constitute a supporting framework for my current theoretical investigations. He has developed energy and emissions policy at the local government level, assisted cities in transitioning countries to create more enabling institutional arrangements, and launched Canada's first all-green building supply retail/wholesale business. While he considers this all useful, he believes his past endeavours will all benefit from re-framing the problem to account for those largely unseen push-pull interactions between social structures and the agent. 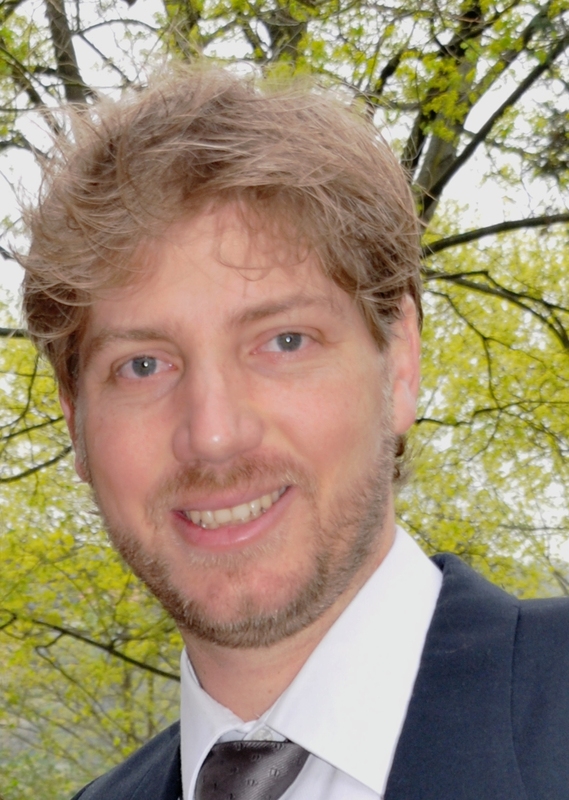 Dr. Francois Jost (PhD in field of sustainable development and forest research, Dresden University of Technology) is a Postdoctoral Researcher in the School for Environment and Sustainability at Royal Roads University (RRU). He has conducted transdisciplinary analyses using participatory action research with rural communities to identify sustainable adaptation and mitigation strategies available to them. In his past research, François has developed vulnerability indices and an optimization model that maximizes the efficiency of resource allocation to identify opportunities to enhance sustainably the livelihood assets of rural communities. As a certified E-lecturer, François has developed an E-learning course on landscape rehabilitation and introduced multimedia techniques and e-learning tools in a master program of the faculty of environmental sciences (TU Dresden). Dr. Rob Newell is a Banting Postdoctoral Fellow in the School of Environment and Sustainability at Royal Roads University. He is leading the Spaces, Places and Possibilities research project, which explores the use of systems modelling and visualization techniques to capture and convey potential outcomes of social and physical infrastructure decisions to local government and stakeholders. Rob is also involved in community climate action research (MC3), leading projects on decomposition analysis and climate action co-benefits. His previous work has involved exploring different ways of engaging diverse groups in sustainability research and ideas, such as through data visualizations, social media, and animations. Rob has a PhD in Geography, and his doctoral research involved using video game development software to build a realistic interactive visualization of Sidney Spit Park (Sidney Island, BC) as a tool for participatory planning.